The most important aspect of having a light but filling meal is to make sure you incorporate plenty of protein and fiber. Those two components will help you fill fuller longer and give you longer-lasting energy. Mini frittatas made in a muffin tin are an amazing make-ahead breakfast. 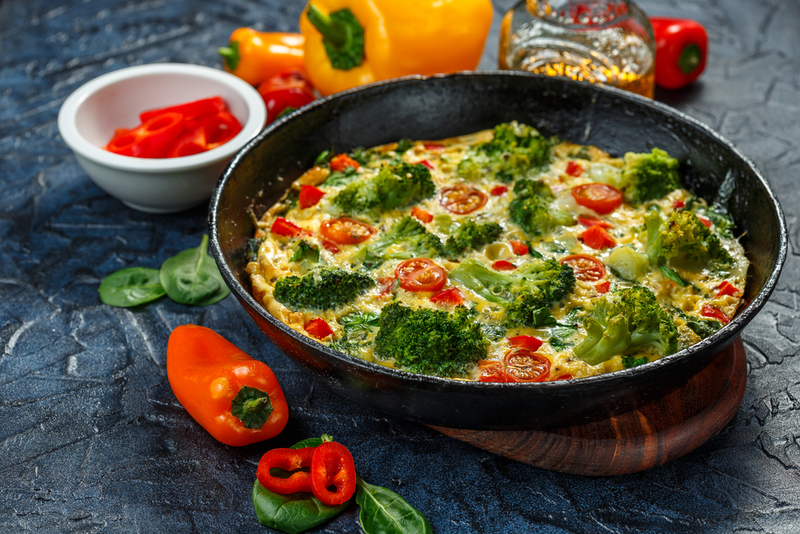 The eggs provide the protein and you can add just about any vegetable you desire. Breakfast burritos are surprisingly easy and portable. A mini tortilla wrapped around egg and cheese and vegetables get a boost of flavor from a good dose of salsa. Tuna salad made with low-fat mayo makes a terrific sandwich when paired with whole wheat bread and plenty of fresh vegetables. Sliced turkey rolled up with avocado, spinach and shredded carrots is a flavorful way to keep you full all afternoon. Spiral vegetables! Run your zucchini through one of the spiralizer devices, and you have your own pasta full of fiber. Top it with a sauce made of fresh tomatoes, garlic, and olive oil for a delicious filling meal. For a Mexican twist, try fajitas. Cook chicken and Portobello mushrooms in fajita seasoning, and wrap them in whole wheat tortillas with guacamole for heart-healthy fat and tons of flavor. Slices or sticks of fresh vegetables such as celery and cucumbers go perfectly with guacamole or hummus. A serving of peanut butter or cheddar cheese goes perfectly with apple slices to help keep you full through the afternoon. While some of these suggestions have what seems to be unhealthy ingredients such as high-fat avocado or peanut butter, having a certain amount of healthy fats is important to keeping your body functioning. Not to mention it is the fat that helps you feel full, so in the long run you will consume less. This entry was posted in Diet, Lifestyle and tagged Beauty Frizz, BeautyFrizz, Eat Well, fresh vegetables, health, Healthy, healthy lifestyle, light eating, live well, living, Meals.